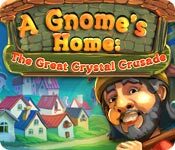 Save the kingdom of the gnomes in A Gnome's Home: The Great Crystal Crusade! The underworld gnomes' kingdom was happy and rich under the shining of the magical crystal. But one day an evil witch stole the crystal and now the gnomes' kingdom lies in ruin. 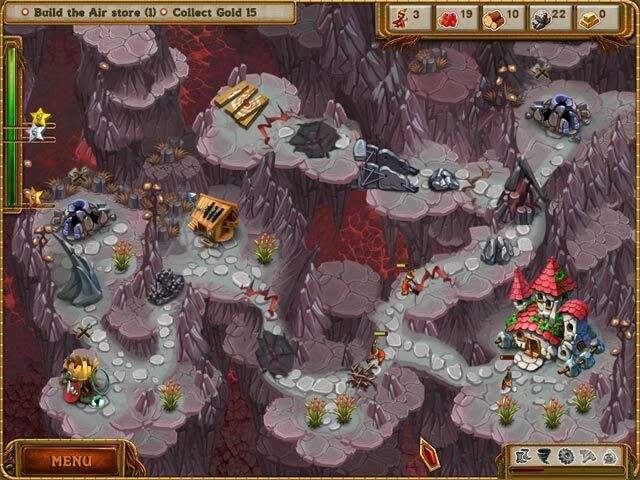 With help of gnome workers you must walk the long and hard path to gather the magical artifact, reach the lands of the evil witch, and defeat her to return the magic crystal and rebuild the underworld gnomes' kingdom in this mystical Time Management game. A Gnome's Home: The Great Crystal Crusade is rated 3.7 out of 5 by 122. Rated 5 out of 5 by rocketman685434 from Excellent Game Well this is the first time i've ever completed a Time Management game with Gold on every level. I'd certainly advise you try this game it is well worth the money and really good value. I had fun playing it. Shame there isn't a 2nd version cos id be on it like a shot if there was. Rated 5 out of 5 by MsJane56 from Love this game,can't wait for Gnomes Garden I loved playing this game, it was fun, but now they have a new one out, called Gnomes Garden and I can't wait for Big Fish to get this one. Please hurry. These games are fun,fun,fun. I recommend this game to anyone that likes management games like this one. Try it. Rated 5 out of 5 by twocrows1023 from Love it! I've played My Kingdom for the Princess so many times it finally became boring. This is another I'll play till my fingers ache. Just finished the free hour and bought it without hesitation. Graphics are darling. Story line is pretty standard but that affects enjoyment and playability not at all. It's a real challenge to grab the gold ring but that's a Good Thing. It just means I'll keep playing and playing and playing and . . . . The difficulty level can be adjusted though, so if you want to just kick back and while away some time, that can be arranged. 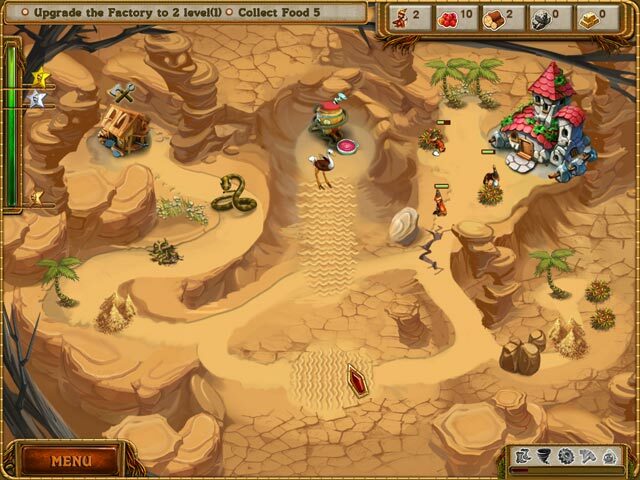 It's quite similar to My Kingdom in that workers run around collecting resources to complete tasks. That's a Good Thing too - - as I've loved Kingdom for a long, long time. So the long and the short of it is: if you're new to TM games, this is a great place to start. And if you're an old hand at them, you're in for a treat! Rated 5 out of 5 by mrm2006 from Smile! Smile! Smile! This is not my usual type of game. Yes, I like the scary, intrigue and adventurous games and hidden object games but sometimes you just need something different and this is it. After I played the trial (I'll try anything) I didn't want to stop - ever. It's such a cute game. And the gnomes! How can you not want to help gnomes! The music is upbeat and I absolutely love when you succeed at a level the townspeople jump up and down and shout what a great job you did and yay and etc. Corny, I know. But, sometimes you need a bit of corny in your life. And besides, I love gnomes. Rated 5 out of 5 by cf1998 from level 22 whaaat? Love this game! I finally got thru all gold levels except level 22. Still trying though. This game has been a lot of fun to play. Rated 5 out of 5 by beltie from Loved It! Original idea. Beautiful graphics. Nice variety of challenges. Does require thought and planning, not just clicking. Good replay. Good tutorial for those not used to TM games. Really, really liked it. Would love to see a second one! Great job guys! Rated 5 out of 5 by pantherseer from A feast for the eyes and ears of all ages This game reminds me of the disney worlds. It's easy on the nerves also. Untimed means just that. Find in playing that my time to do a level is lower then expected. It's such a pleasure to play a game with beautiful colors and music without feeling like a dumb bunny in not being able to get the gold star just because I'm "of a certain age". I wish there were more games like this for young and old alike.. Rated 5 out of 5 by chelleymae from Fun Game! Really enjoyed it. I enjoyed this game. It had good graphics and a good storyline behind it. Also had several different options to keep it moving fast which I like in the time mgnt. games. I recommend highly if you like these type games. Cute! Rated 5 out of 5 by victorianartist from Unbelievable Challenge! Terrific Game. Major Challenge to get Gold! 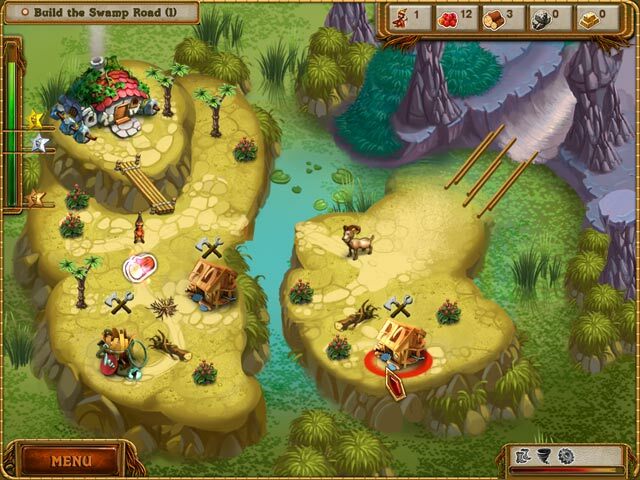 Great Graphics, soothing sound, and expert strategic moves required. One false move.. no gold! It is well done, and great fun. I am a Senior Citizen and Love this challenge. Although it could be a bit less stringent on getting gold. I think the best of the best would find this one a good match for their abilities. I normally get gold on a few tries, but this one is really hard on some levels. So sharpen your minds and go for it! You won't be disappointed. If you want an easy gold game, this is not for you. It is definitely tough! I love it!